Passengers wait for the Los Angeles Transit Lines 5 Line car no. 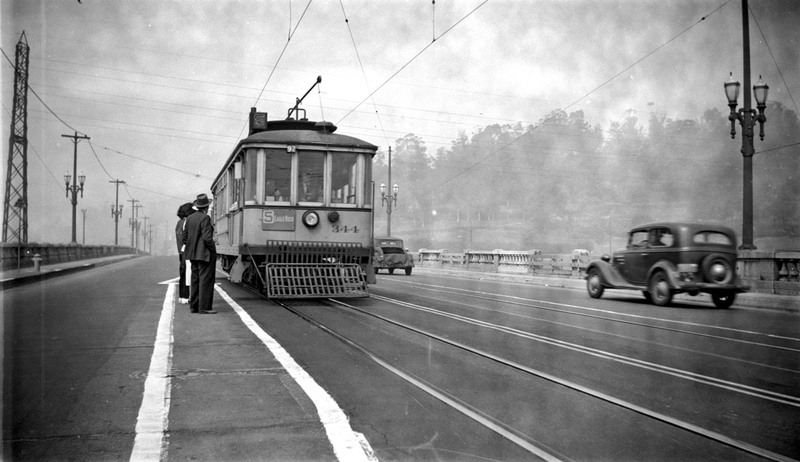 344 to pull to a stop at a passenger loading zone at Broadway and Pasadena Avenue in this undated photo. Looks like the safety zone is freshly painted. Could this relate to the 1948 date of the other photos Weeks took at the new Colorado terminus?